Laura High is an actor and stand up comic. 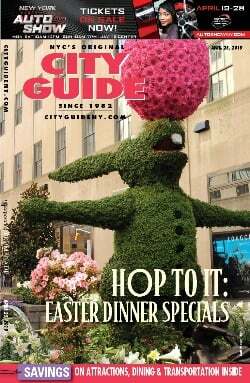 After her start with a comedy class at Caroline's on Broadway, she has since performed at the New York Comedy Festival, 360 Festival, She-Devil Festival, Winter Laughs Comedy Competition, and Last Comix Standing, as well as clubs and colleges all over the east coast. Laura is also a proud SAG-AFTRA member. She's been on 'I Love You But I Lied' on Lifetime, 'Dates From Hell' on Discovery ID, and multiple commercials. She is also the producer, writer, and co-host for the Strat-O-Matic News Network and various web series such as Secondhand News and Joyful Weddings. 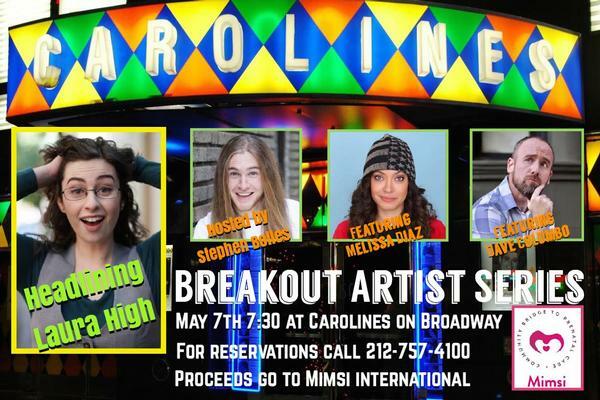 Caroline's on Broadway is proud to present the Breakout Artist Comedy Series, a series which put the spotlight on the very best and brightest emerging stand-up comedians in their very own headlining show. These are the comedians that are currently plying their trade and honing their craft on their way to becoming the stars of tomorrow. High's proceeds will be going to charity. She has partnered with Mimsi: Mimsi International is an exciting community-powered organization, training community members in pregnancy care in remote, rural areas of the developing world. Community volunteers become Mimsi staff and run mobile pregnancy clinics to serve pregnant women in their communities. We provide training and jobs to women from the community, and we provide cost-effective, sustainable pregnancy care to women most in need.